Our Multimeter is a first-of-its-kind, multifunctional digital UV meter. 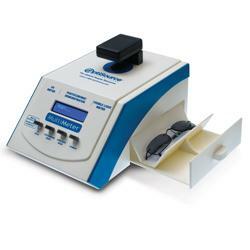 The single unit works as a UV Spectrophotometer, Photochromic lens demonstrator and Visible Light Meter. In just seconds it will activate Transitions or any brand photochromic lenses. It will also measure UV transmittance of any lens and Visible Light transmittance of colored lenses.